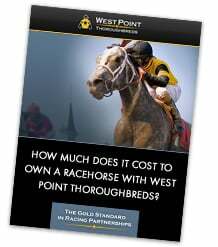 The most talented 2-year-old filly to adorn the West Point Thoroughbred colors, Irish Smoke became a Grade 1 winner in only her second career start when she won the Spinaway at Saratoga. 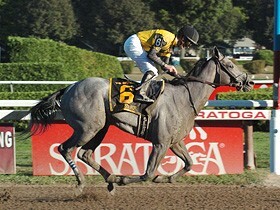 This gray filly’s closing speed is tremendous, as witnessed when she rallied off the pace in the Spinaway. She sold for $750,000 at the end of her juvenile season.